does it need a maintained or momentary closure to operate it? Looking at the Freightliner schematics and operators manuals, that electrical system is a nightmare especially the way it sheds loads during a circuit failure. Your truck look clean under the hood, has it been repainted? 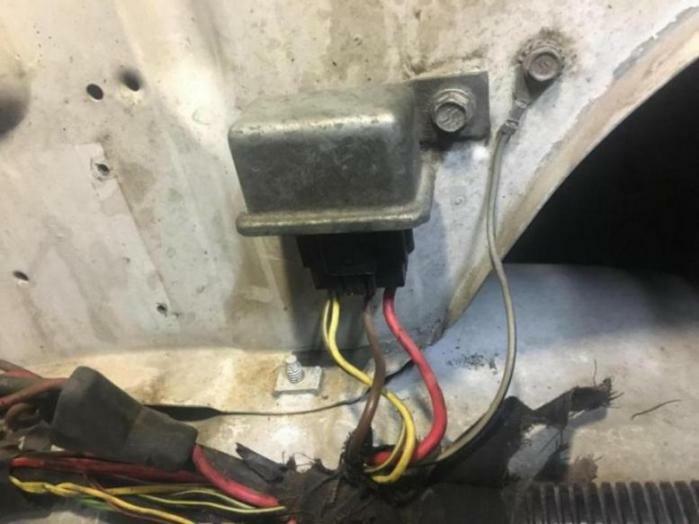 It is a maintained switch, Freightliner uses switch part number A06-88420-000 if the battery cutoff option is installed. The colors should be the same, mainly you need to go by the wire size. That is the starter relay. The brown wire will go right to your starter solenoid. Red is battery power. Yellows are relay power and ground from the ignition switch. The freightliner MIDI/ATC fusbox used in this article is a Blue Sea Systems SafetyHub 100 Fuse Block #7725. I am not going to bother with this one I will be installing a SafetyHub 150 Fuse Block #7748. This allows one more MIDI and two more ATC fuses. I will start a new thread to review the electrical challenges I have had with this 1st gen cummins. I love the truck, but age will bring about changes. You’re about 2 years late, lol.